Aquarium plants are mostly fertilised with liquid fertilisers. 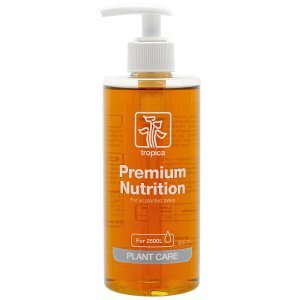 In them, all the important nutrients are dissolved in water and can be added to the tank easily with the help of a dispensing aid. 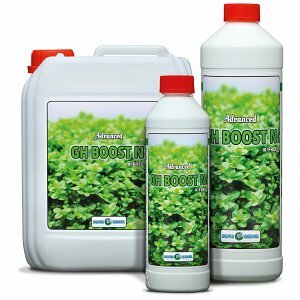 A sufficient supply of macronutrients is especially important for lush growth in aquatic plants. Nitrate (NO3), phosphate (PO4) and potassium (K+) are the most crucial water plant nutrients. Aqua Rebell has single component fertilisers that add nitrate, phosphate or potassium, and also NPK fertilisers like Aqua Rebell Makro Basic NPK or Makro Basic Estimative Index, which add nitrate, phosphate and potassium combined. Calcium and magnesium belong to the macronutrients, too, however, tap water usually contains sufficient amounts of these elements. Micronutrient fertilisers like e.g. 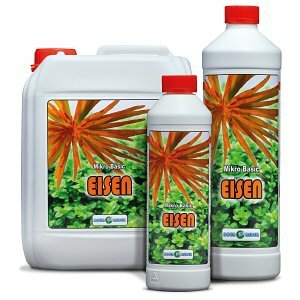 Mikro Basic Eisenvolldünger (complete iron fertiliser) or Mikro Spezial Flowgrow preliminarily add iron and manganese. Boron, molybdenum, zinc and copper are also contained in these micronutrient fertilisers in order to provide your plants with everything they need for vital and continuous growth. If you choose liquid fertilisers for supplying your aquatic plants with nutrients, you won't need additional fertilising substrates as a rule. It is possible to supply aquatic plants with all the nutrients they need through the water. However, a substrate rich in nutrients (like soil) can be considered helpful at all times. 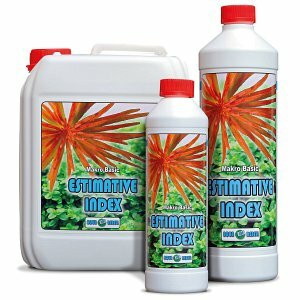 Liquid fertilizers are not only a popular means in aquascaping, with which aquarium plants can be easily and above all accurately supplied with nutrients. The liquid fertilizer is simply added to the aquarium via the water column. How liquid fertilization works exactly, is described in detail in this article in our Aquascaping Wiki. A more comfortable way of doing it, is by using a dosing pump. How to do it is described in our article "Automated fertilization" in our Aquascaping Wiki. An optically very appealing solution for the addition of liquid fertilizers is presented in the Wiki article: Optisch attraktive Düngerzufuhr". 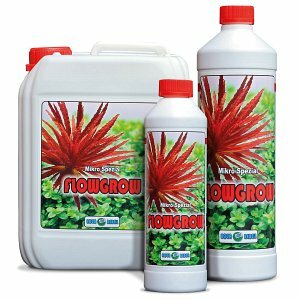 In this category you will find liquid fertilizers and fertilizer systems of which we ourselves are convinced, including not only the fertilizer systems from ADA and Do!Aqua, Seachem, Dennerle, Drak, JBL Pro Scape, Borneo Wild, Tropica and Easy Life, but also the various liquid fertilizers from the Aqua Rebell brand, which we ourselves have developed for planted aquariums and aquascapes. The new liquid fertilizers from ADA and the differences to the "old" Green Brighty series are described in our article "New ADA liquid fertilizers". 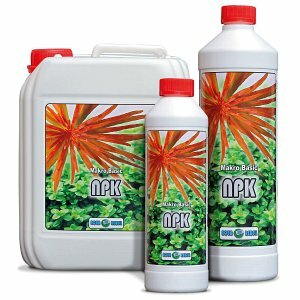 A sufficient availability of the macronutrients nitrogen (N), phosphorus (P) and potassium (K) is important for plant growth in the aquarium, but your aquatic plants also need trace elements and especially iron. We offer liquid fertilizers for adding individual macronutrient components, but also ready-made fertilizer mixtures such as the Makro Spezial Licht and Makro Basic Estimative Index from Aqua Rebell - just as you need it. 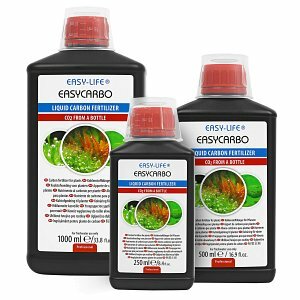 Of course you will also find liquid fertilizers, which allow you to supply your aquarium plants with micronutrients, and complete iron fertilizers. 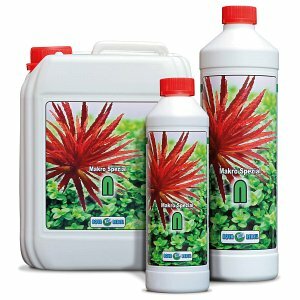 Ferrdrakon Power consists of fertilizer systems adapted to different aquarium sizes that supply your aquarium with liquid fertilizer continuously over a period of three months. This fertilizer system consists of Aquafim plastic cubes, which deliver the amount of fertilizer your plants need continuously and constantly, saving you a lot of work, ensuring e.g. a relaxing holiday for you.